Ancient Greece influenced almost everything we take for granted today - from medicine and law to maths and philosophy, to art and sport. 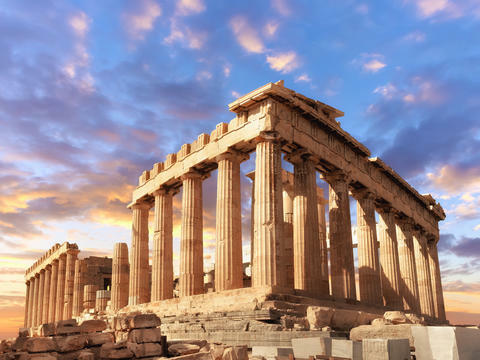 Athens, the birthplace of Socrates and Plato, was the heart of the empire. 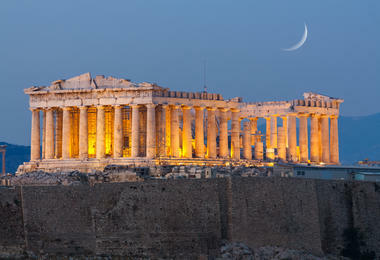 The spectacular Parthenon that overlooks the city is a reminder of those times. Today, Athens is also a buzzing cosmopolitan hub. 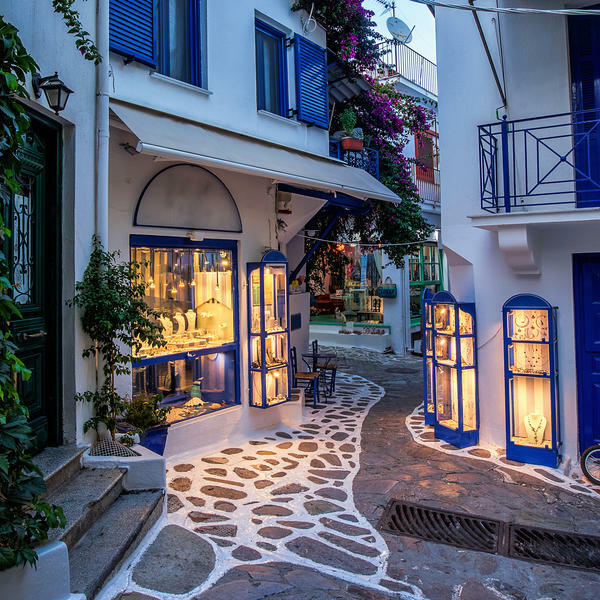 During your 10-night tour, you will spend three nights in the Greek capital, giving you plenty of time to explore the old and the new. 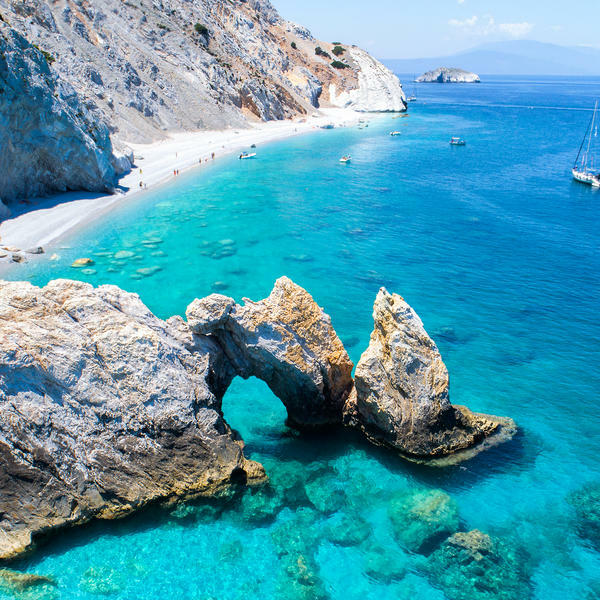 From there, you will set sail on the luxurious Star Flyer tall ship and explore some of the islands of the Aegean, including Skiathos, as well as disembarking to enjoy the food and shopping of the Turkish beach town Dikili. Bringing the history of Ancient Greece to life will be acclaimed classicist and author Dame Mary Beard. Mary, a fellow of Newnham College and professor of ancient literature at the Royal Academy of Arts, presented two episodes of the BBC series Civilisations. She will be on hand during two exclusive half-day tours of the sights of Athens. In the first, she'll share her insights as you visit the Piraeus Museum, the Tower of Winds and the Choragic Monument of Lysicrates. 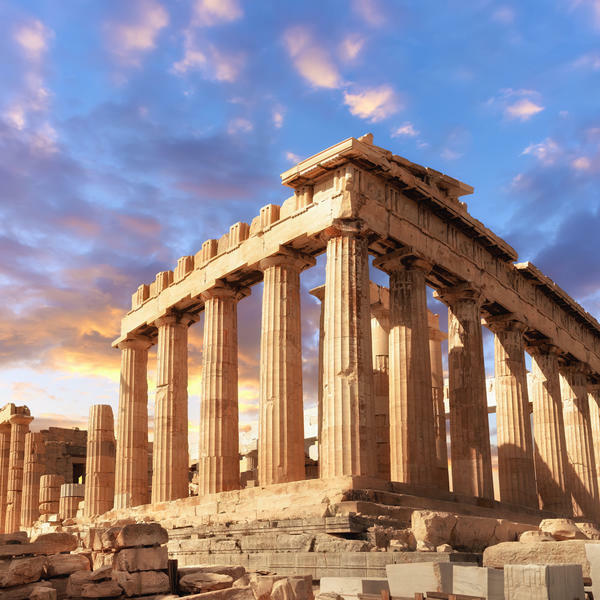 As the author of The Parthenon, Mary is perfectly placed to lead the second excursion to the Acropolis - one of the world's most iconic monuments. In between, you'll be treated to an evening in Mary's company, where she'll deliver an exclusive talk before taking your questions. An acclaimed classicist and author, Dame Mary Beard is a Classics fellow at Newnham College, Cambridge and a professor of Ancient Literature at the Royal Academy of Arts. She also presented two episodes of the BBC series Civilisations and the documentary series Ultimate Rome: Empire Without Limits. She has released numerous acclaimed histories, most recently her new book Civilisations: How Do We Look/The Eye of Faith. The classical sites and museums of Greece open up to us, better than almost anything else, the achievements of Ancient Greek culture and 'civilisation'. 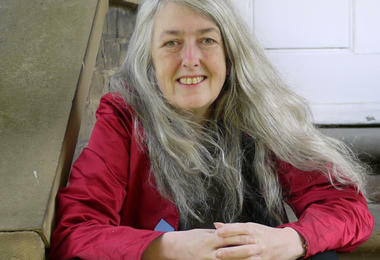 Activities and talks with Professor Mary Beard. 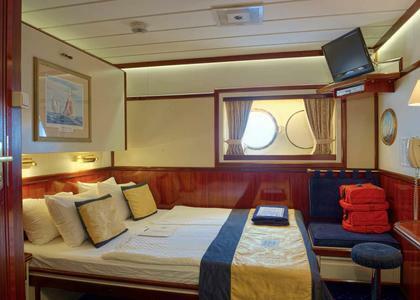 Seven nights' full-board accommodation aboard Star Flyer. Three nights' four-star accommodation in Athens. Excursions and visits as detailed in the itinerary. * Based on two sharing a room. Single cabins are available at a supplement, subject to availability. Timings of Mary’s events are subject to change. Slight alterations to the itinerary may occur due to operational restrictions. This trip is ATOL protected. Arrive for your flight to Athens, where you will be met and transferred to your four-star hotel. On arrival you will have time to settle in and to begin exploring if you wish. 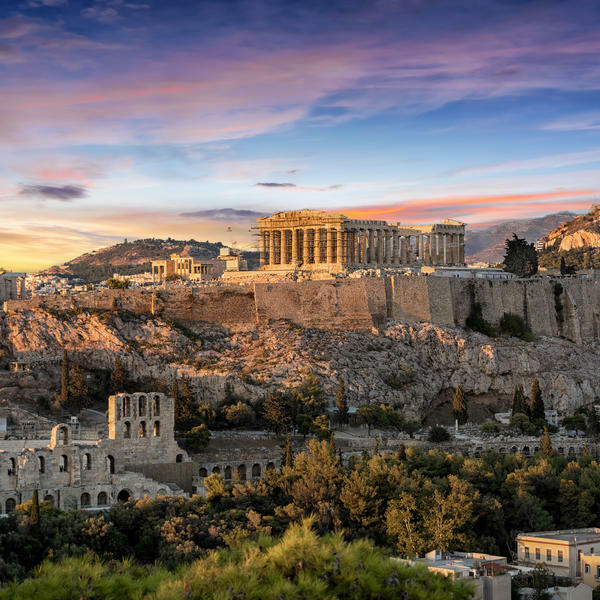 This morning you will enjoy a tour of some of the most capitivating classical sights in Athens, accompanied by renowned classicist Dame Mary Beard. Stops will include: the Pireaus Archaeological Museum, housing excavation finds from the Mycenaean period to Roman times; the Tower of Winds, a marble clocktower in the centre of the Roman Agora; and the Choragic Monument of Lysicrates, the only surviving trophy from the yearly competitions held in the Theatre of Dionysus. In the afternoon you are free to explore at your own pace, perhaps visiting some of the Greek capital's other world-class museums. In the evening, Mary Beard will hold a talk on the facsinating artistic legacy and social history of this vibrant city, noting its influence on our culture to this day. You will be free to ask her questions following the talk. Today you will join Mary on another excellent tour, exploring the legendary Acropolis. The hill upon which today's ruins stand has been inhabited since at least the 6th millenium BC, with its most famous buildings being built during the reign of Pericles in the 5th century BC. You will discover the fascinating history behind their creation and the stories that have unfolded on this site in the millenia since. Mary will provide her own insights, before you join her in a visit to the Acropolis museum to further enhance your understanding. For the rest of the day you are at leisure, perhaps exploring some of Athens' many vibrant restaurants and bars. 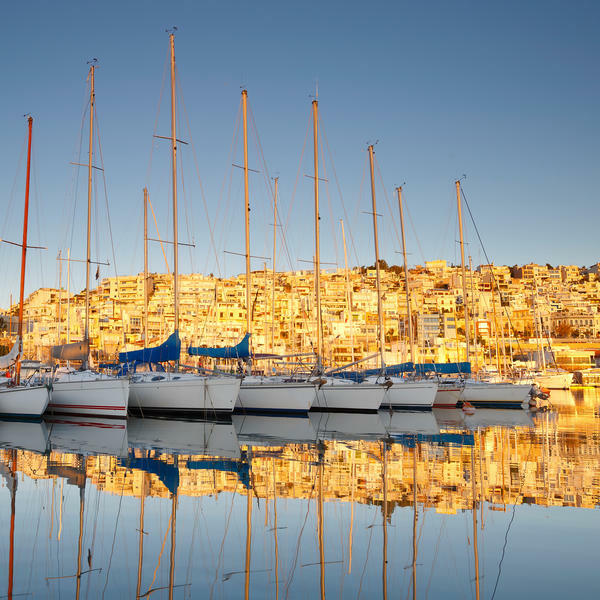 Today you will be transferred 10km south to the port of Piraeus, the largest port in the Mediterranean and the key to Athens' trading power since ancient times. 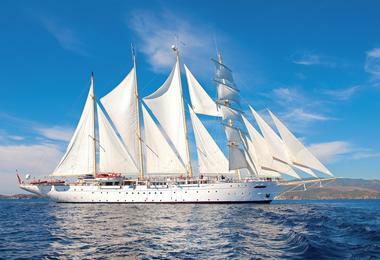 Here you will board your luxurious floating hotel, the Star Flyer tall ship. 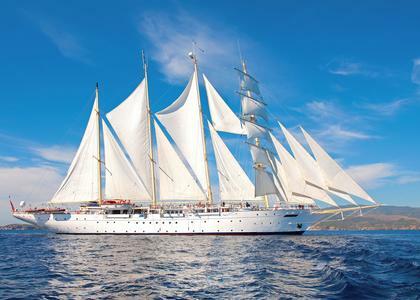 You will have time to settle in your cabin before familiarising yourself with this classic four masted sailing ship, which will be your home for the next seven nights. 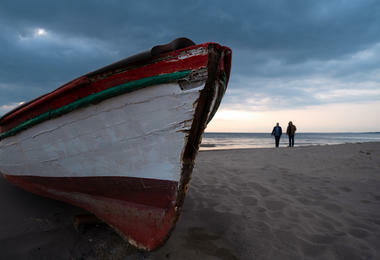 Today your ship will be moored in the traditional Turkish beach town of Dikili. 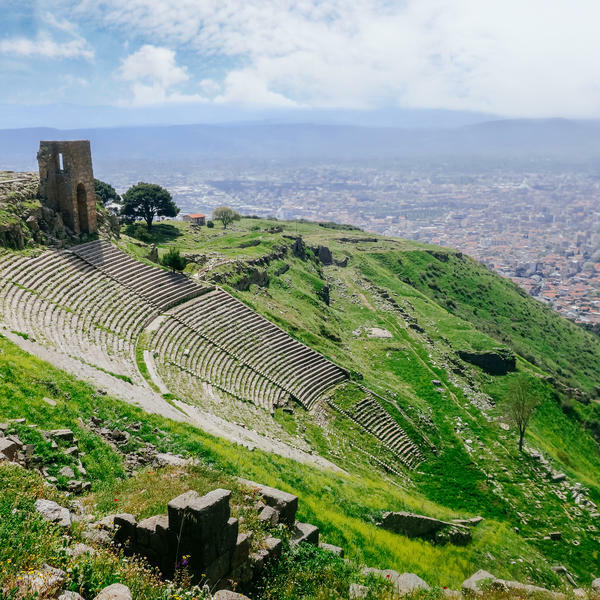 You may wish to visit nearby Bergama, the site of the dramatic Acropolis of Pergamum whose incredible theatre offers a scenic panorama over the city. The Red Basilica here is one of the largest Roman structures that still survives in what was ancient Greece and is built on a truly monumental scale. 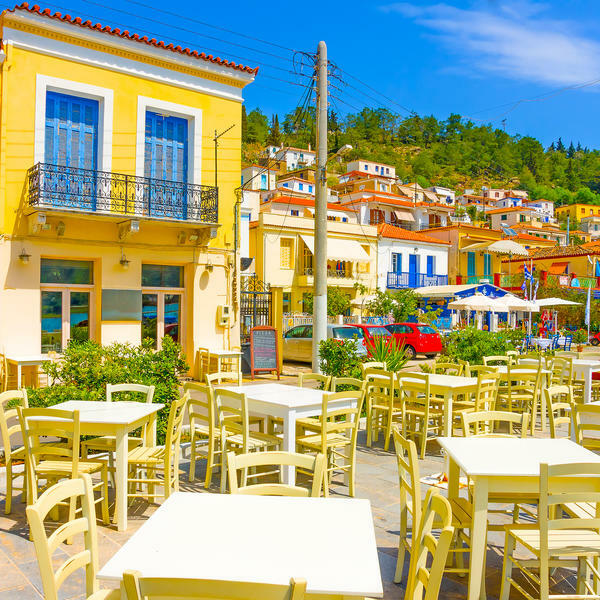 Alternatively you can relax in Dikili, perhaps sampling the seafood in one of its little al fresco restaurants or perusing the many local shops. Today the ship returns to Greece and you will be introduced to Myrina, on the picturesque island of Limnos. Legend has it that when the great Zeus cast his son Hephaestus out of Olympus he landed here, breaking his legs and causing a permanent limp. The island became the centre of the ancient cult of Hephaestus and its successful basketball team is still named in honour of him. Here you will visit the imposing 12th century Kastro of Myrina, the largest fortress in the Aegean sea. You may also wish to try the wine here; built on volcanic soil, Myrina is home to some of the best red and white wines in the whole of Greece. 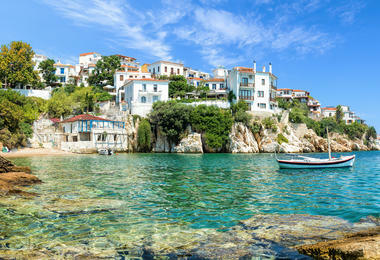 Today you will explore the glamorous island of Skiathos, as the Star Flyer moors at Skiathos Town. Known for its golden beaches, chic boutiques and vibrant nightlife, this is also one of the most lush and green Greek islands. Here you are free to explore the charming Old Town, admiring the picture-perfect harbour and flower laden houses. You might want to shop for souvenirs or indulge in a delicious meal on the waterfront. Alternatively, you could head for one of the 60 idyllic, sandy beaches scattered along the shoreline or take a walk through the island's green interior. 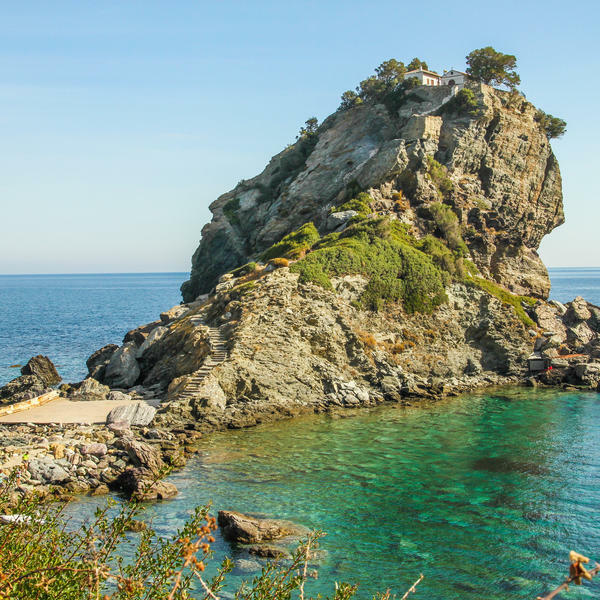 Today's island is the idyllic Skopelos, made famous by its use as the location for Mamma Mia. 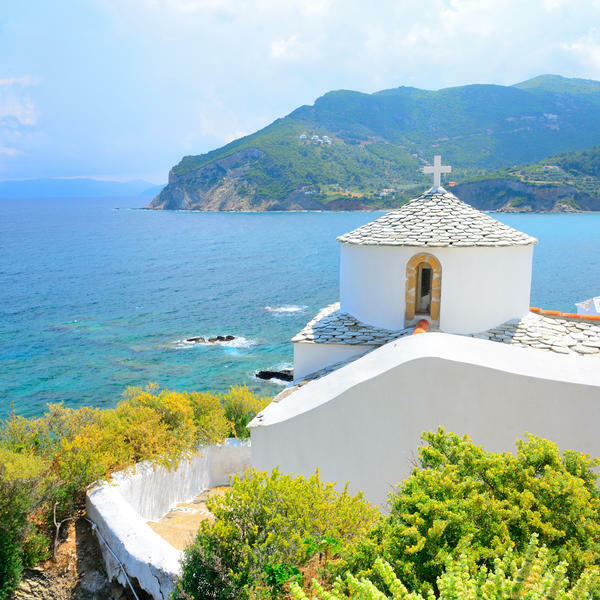 Scattered with pretty churches, lush greenery and sundrenched olive groves, and ringed with pristine beaches lapped by turquoise water, Skopelos certainly looks picture-ready. But the island has more to it than that. With plenty of convents and monasteries, a ruined castle, two charmingly traditional towns and plenty of rural charm, it has retained a delightful authenticity. 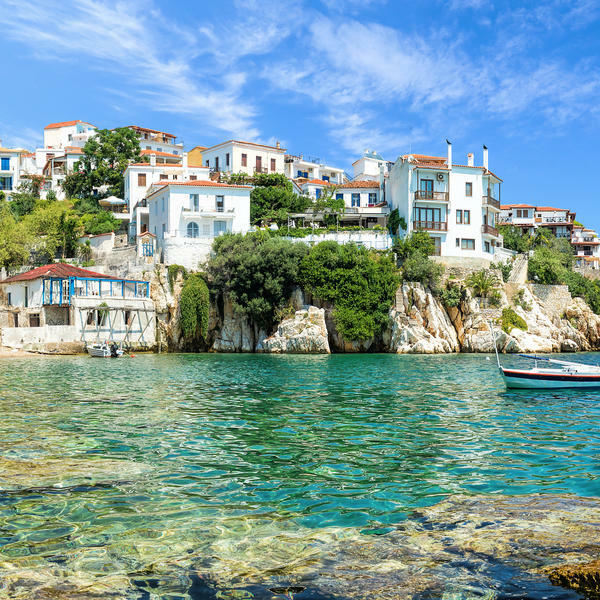 You can spend the day exploring the sights made famous by the film, relaxing on one of Skopelos's quiet beaches or seeking out a traditional Greek taverna to enjoy a laid-back lunch. The choice is yours! Today the Star Flyer moors at Poros, a peaceful island just a stone's throw from Athens. 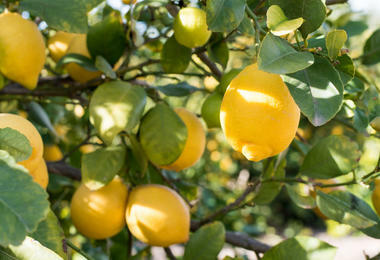 It is famous for its wild lemon forest, where thousands of lemon trees come right down to meet the shore. You will be free to explore this and also to discover the ruined Temple of Poseidon, which combines Doric and Ionian styles. Those with a real passion for archaeology might also want to venture inland to the unspoiled site of Troezen, one of the least known cities of ancient Greece. The nearby ancient theatre of Epidaurus is also well worth a visit. Built to hold 14,000 spectators, it is considered one of the most perfectly preserved examples of a Greek theatre. After a last breakfast onboard the wonderful Star Flyer, you say goodbye to the ship and take a transfer to the airport for your flight home. 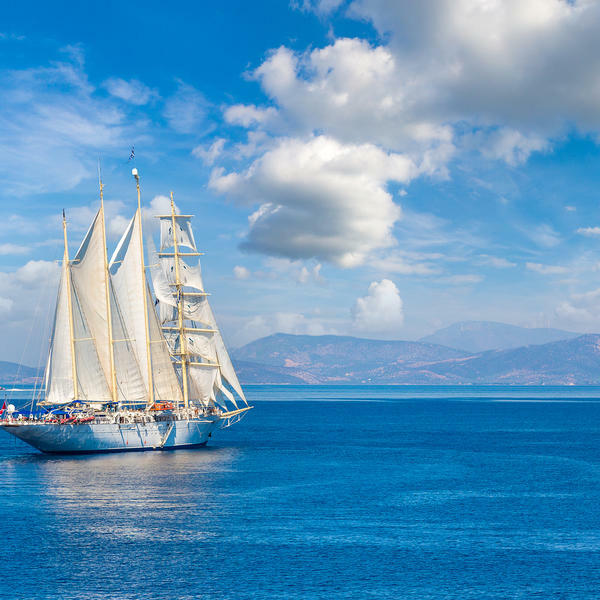 This luxurious tall ship combines the best of Star Clippers' classical heritage with advanced navigation systems, a refined finish and the best in mod-cons. With ample space for 170 guests, the atmosphere aboard is more akin to that of a private yacht than a cruise ship. All staterooms benefit from en suite bathrooms, air conditioning, hairdryers, a private safe, a telephone and a TV and DVD player. Passengers can also make use of the excellent onboard library, two swimming pools, the outdoor Tropical Bar and the peaceful indoor Piano Bar. Dinners are served in the opulent Clipper Dining Room and a resplendent decor of teak, mahogany and sophisticated nautical touches ensure that this four masted sailing ship retains its authentic air.